This song, written by Naomi Shemer in 1967, is often referred to as the second national anthem of the State of Israel. Indeed, after the Six Day War, a bill was introduced to the Knesset to replace Ha Tikvah with "Jerusalem of Gold" as the national anthem, but it was never passed. The original song was written for the Israeli Music Festival on May 15, 1967, the night after Israel's 19th Independence Day, and describes the Jewish people's 2000-year longing to return to Jerusalem. It was sung by a Shuli Natan, who worked for the army as a Hebrew teacher for immigrant women. At the time of the music festival, the Old City, including the Western Wall, was under Jordanian rule. Jews were prohibited from entering, and many of the holy sites had been desecrated. About three weeks after "Jerusalem of Gold" was performed, the Six Day War broke out on June 5. The song became the battle cry and morale booster for the Israeli troops. 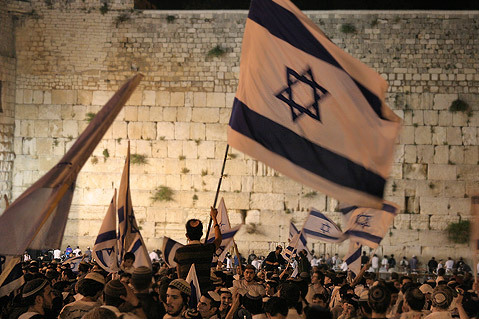 On June 7, Israel captured the eastern part of Jerusalem and the Old City. Shemer traveled there to encourage the soldiers, and when she heard the paratroopers singing "Jerusalem of Gold" at the Western Wall, she wrote the final verse, which turned the lament in verse 2 into rejoicing. And of the last poet.